Government shutdown in the United States will result in a large flow of news. This news will affect the US market, the Russian market and the global currency market. Already stopping the shutdown of the government led to a weakening of the US dollar, which spoiled our ideas. Moreover, it cannot be said that the US dollar will continue its decline. Especially in the context of the EURUSD currency pair. 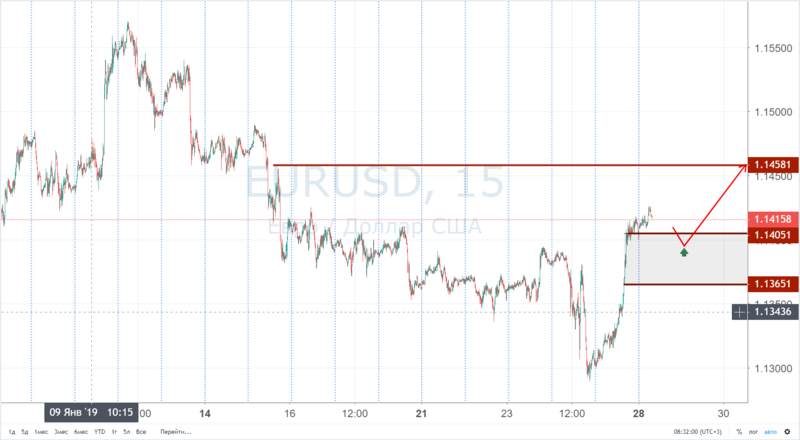 From the technical point of view, we assume that in the range of 1,1405-1,1365 there is support where you can search for entry points to buy with targets of 1.1460. However, we must understand that these are not ideal ideas, since so many things can change. Just look at the economic calendar of this week, and there you will see both FOMC, and Non-Farm, and Brexit. All questions are sharp, all questions will be reflected in the quotes. Therefore, we decrease the volume and become more flexible. Friday's highs update during the Asian session, which we accepted as a false move, was not really a false. It was a movement that reflected the fact that in the EU could make concessions to London in the Brexit agreement. In any case, this event is suitable for the time. And the confident upward movement was strengthened by the general background of the weakening of the US dollar. In general, until we know what concessions the EU will go to, and whether it will go at all, we should assume that the current pair will remain positive. It means to be within the ascending trend. But buying at the highs does not make much sense. 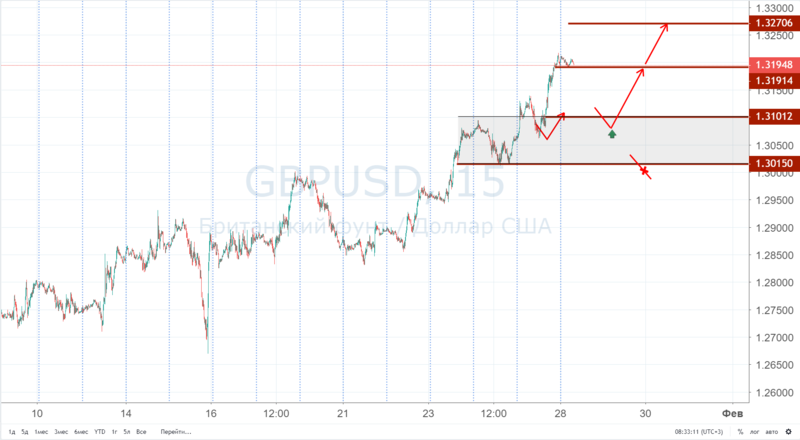 It is worth waiting for a corrective decline in the area of ​​1.30-100-1.3015 and there they will consider the points of entry into the purchase with the target of 1.3190 and 1.3270. The price below 1.3015 will indicate that there is no particular upward trend, but also selling in this case is premature to think.